Having recently returned from a short, family visit to California, I was reminded once again of the Golden State’s precarious future. With a population that has doubled to 40 million in just under 50 years and a recent history of severe drought conditions, California is desperate for water, not only for human consumption but for its parched forests and other natural vegetation. This year the annual wildfire season began earlier than usual because of the extremely dry conditions, coupled with high winds and triple digit temperatures. When we left for home last Monday, there were 18 known, active wildfires in the State. A little further research revealed that presently there are over 70 wildfires raging in the 11 western states, but three California fires are of particular note. The Carr fire up near Redding is most menacing. 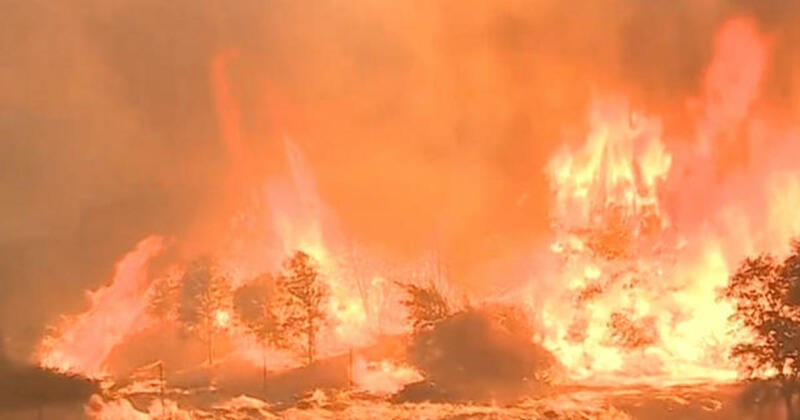 Since its start on July 23rd, it has burned over 132,000 acres of land (over 200 square miles) and destroyed some 1600 structures, and as of today firefighters estimate that it is 39% contained. It ranks as the sixth most destructive fire in California’s history. The state’s next largest current conflagration, known as the Ranch fire in Mendocino Country, began exactly one week ago and to date has incinerated over 112,000 acres and is only 28% contained. Third in size, the Ferguson fire began three weeks ago (July 13th) in the Sierra National Forest outside Yosemite Park. It has blackened some 73,500 acres, and forced the closure of Yosemite to the public, among other things. Estimates are that it is 41% contained. The financial cost to the state of California from all these fires is staggering. From the start of its new fiscal year on July 1st, Gov. Brown’s administration has so far spent over $115 million on emergency firefighting. This amount, of course, does not factor in more massive costs due to losses of structures, timber destroyed, health issues from heat exhaustion, smoke inhalation, water depletion and the like. And the fire season is only barely underway. But the news gets even worse. Indeed, the ninth issue (May 2012) of Inspire, the English language magazine of al-Qaeda in the Arabian Peninsula, contains an article entitled, “It Is of Your Freedom to Ignite a Firebomb.” It openly declares, “Fire is one of the soldiers of Allah,” and teaches readers how to make and place “ember bombs” so as to effectively launch wildfires in the West with the hope of creating a “global fireball.” Particularly singled out is Montana, because according to the article so many people there live not in cities but in forested regions. “Forest jihad”, as it has come to be known among militants, fits nicely with Osama bin Laden’s “bleed until bankruptcy” plan of economic jihad against the West. Militant leaders drool over the anticipated damages caused by waves of Muslim-launched wildfire attacks: human casualties, pollution disasters, timber shortages, lost tourist income, weakened emergency services, depleted national resources, collapse of insurance companies, and emotional havoc as fear grips the West. To encourage lone wolf attacks, these terror groups promise their readers that as they carry out these attacks they will receive Allah’s reward even if America and her allies are only harmed and enraged. Our federal government is quietly aware of the threat of “forest jihad” terrorism. In late 2012, the Department of Homeland Security circulated an internal note “for official use only” entitled, “Terrorist Interest in Using Fire as a Weapon.” This pyroterrorism is a huge threat because it does not take much advance preparation, it requires little expense, is easily replicable, and almost impossible to prevent. Only human decency prevents forest fire arson, and Islamic militants aren’t concerned with human decency. They have convinced themselves that Allah and his prophet approve of this tactic. Their theologians argue that Allah has decreed “an eye for an eye” treatment of enemies. One must inflict the same kind of pain that one has received from one’s foes. America and her allies have rained fire down upon Muslim lands with bombs and missiles, causing untold damage. Hence, Muslims have the obligation inflict like damage on the West, according to Islamic law. Other Muslims point to a well-known tradition where Muhammad is supposed to have said, “Bring no harm to trees, nor burn them with fire, especially those which are fruitful.” As a matter of fact, we have no record that Muhammad ever said something like this. Instead, Islamic source material attributes this to Abu Bakr in his role as Caliph instructing his generals before unleashing them for jihad. His commands have become part of Islamic law. However, the radical Muslim element points to Muhammad’s example and claims to emulate him. So Allah, the Glorious and Exalted, revealed the verse: “Whatever trees you have cut down or left standing on their trunks, it was with the permission of Allah so that He may disgrace the evil-doers” (59:5). — Sahih Muslim, 19.4324. This hadith tradition refers to the occasion when Muhammad and his forces were besieging the fortresses of one of the Jewish tribes of Medina, the banu Nadir, whom he had accused of treachery against him. They were a farming tribe, receiving the bulk of their income from date production. In order to force their surrender, Muhammad ordered that their date orchards be burnt and razed to the ground. When news of this destruction reached the banu Nadir, they surrendered to Muhammad, and were subsequently banished from Medina with only whatever of their possessions they could carry with them, minus weapons. Some of Muhammad’s associates were troubled by the destruction of the valuable fruit trees and questioned the prophet. Soon thereafter a revelation came from Allah: “Whatever trees you have cut down or left standing on their trunks, it was with the permission of Allah so that He may disgrace the evil-doers.” In other words, “Whatever action Muhammad has taken is okay with me, as long as it leads to the dishonor of the Jews, which it has…” Allah seemed to have no problem with the destruction of whole groves of cultivated date palms as long as their burning brought shame to his enemies. So, the Muslim radical reasons, if such treatment of the enemy’s trees was good enough for Allah and Muhammad fourteen hundred years ago, it must still be good in their eyes against our enemies today. Fire indeed is a true soldier of Allah! There is one other time when Muhammad ordered the use of fire, according to The History of al-Tabari, vol 9, pp. 60-61. In 630, as he was on his way to confront the Byzantines in battle at Tabuk, a group of Muslims who had built a mosque near an existing one on the outskirts of Medina, a place called Quba’, claimed they had built it “for the sick and needy and for rainy and cold nights” and asked Muhammad to bless it by coming and praying in it. Although he intended to, he was not able to visit before his military expedition. On his return, however, he learned “by revelation” (9:107, 110) that the mosque builders were a rival faction to his loyalists, and as a result he ordered the mosque burned to the ground. Even though the group protested their innocence and declared their allegiance to Muhammad, Allah had branded them as liars, so what could the prophet do? While the “hypocrite faction” was gathered inside their mosque, Muhammad’s men set fire to it, and the hypocrites were dispersed and lost to history. Given these examples from Muhammad’s life, and the radicals’ penchant for imitating him whenever possible, it’s not surprising to hear Muslim militants calling for “forest jihad,” enlisting fire as a fellow soldier of Allah. We can truly be thankful that to date there have not been waves of jihadi firebombs wreaking havoc in our tinder-dry forests on the West Coast. But so far as we can tell, there are no obstacles preventing a Muslim radical lone wolf from executing the terroristic vision of al-Qaeda. All we have is the grace of God and the vigilance of the American public. A forest fire is vastly different than an entire “nation” being turned into glass. Thank God backbone and courage have returned to the White House. I’m not sure of the purpose of your comparison, but 100 forest fires started in each State of the Union within a week of each other would cripple our nation. With a bit of advance preparation, 100 terrorists could plant 50 incendiary devices each in dense forests within one week’s time. 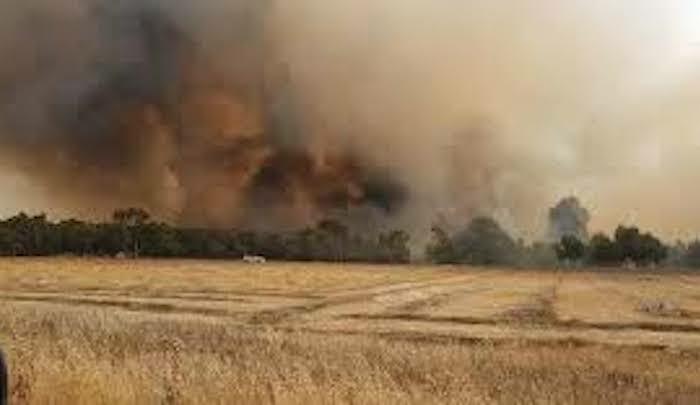 Our emergency services would not be able to cope with the magnitude, fires would rage out of control, we’d be a nation under siege. And it would be so easy to carry out — unlike a nuclear attack upon our nation, which I assume is your meaning from an entire nation being turned into glass. Neither is a welcome option, but the forest jihad possibility seems higher on the probability scale to me. It is really annoying when fools with good intentions do the strategic thinking for terrorists. Most terrorists are morons and could not think up this stuff without help. You are helping them no less than giving them directions to the nearest gasoline station near a national forest. I assume you’re refering to me as a “fool with good intentions.” That may well be true for a whole host of reasons, but not because I’m doing strategic thinking for terrorists. Everything I’ve reported is to be found on the radical Muslim websites, and has been for more than 7 years regarding “forest jihad.” Actual jihadi wannabes are much more likely to be scouring the terrorists’ websites than reading my obscure blog. The actual terrorists may or may not be morons, but their handlers certainly aren’t. Seventeen years after 9-11, and the Hyena of Islam remains in the American Hemisphere?